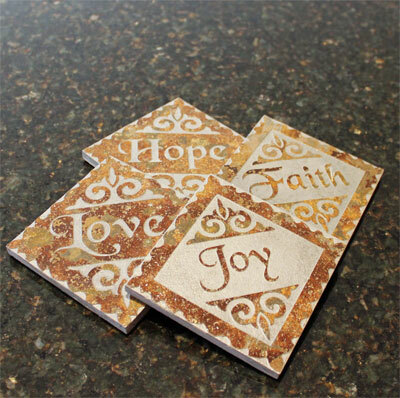 Natural slate coasters feature subtle color variations, each showing an inspirational word (one of the fruits of the Spirit). Individually sand carved, each slate piece is crafted in the USA. Measures 4". 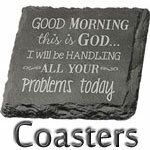 There are protectors on the base of each coaster.